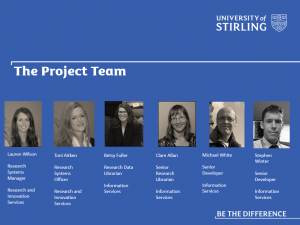 We were delighted to be asked to present about the Research Hub project as the first session of the University’s inaugural Research Week 2017. 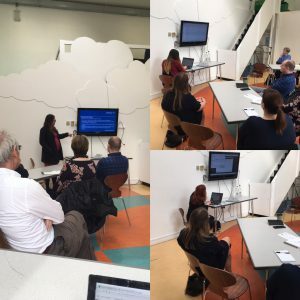 As we’re a good few months into the project, it was a really good opportunity to stop and take stock of where we are, talk to different stakeholders about our progress, and have a demonstration of the new research system we’re currently implementing as part of the project – Worktribe. 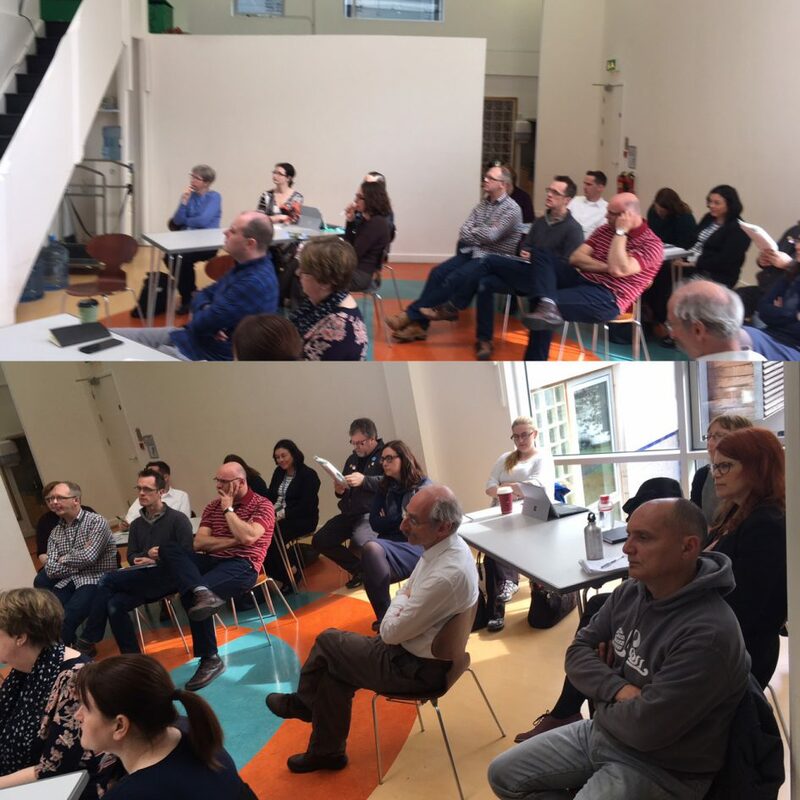 We had a great attendance and even had to do the chair shuffle to make sure we could seat everyone – always a good sign for an event! 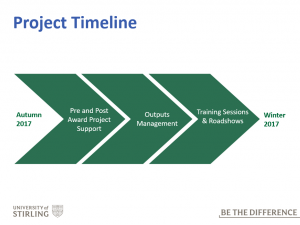 We started off with a presentation explaining the vision of the project, the milestones achieved so far, and the planned improvements to come as part of the project. We then moved onto a demonstration of Worktribe in one of our test environments. I logged in as “Ceri Chemistry” – one of Worktribe’s test people and a name that will be very familiar to other Universities implementing Worktribe – and showed the group what it would look like to ‘Create a Project’, adding in some key project information such as the title, dates and funder. I also added some time for Ceri, so that she could start to look at developing a budget with full economic costing which is required for different research funders. My colleague Toni added further information as “Barry Biology” (can you sense the naming scheme?! ), a co-investigator to Ceri’s project. Betsy, the repository librarian who is also involved with the project, demonstrated how to add an output to the Worktribe system by uploading a full text manuscript. Worktribe very cleverly ‘read’ the PDF and auto-filled some of the output record fields. The powerpoint presentation is available here and i have also included a few of the screenshots below. This is one of many sessions that have happened and will be taking place as we prepare to launch the system later on this year. If you’re a researcher at the University and would like to find out more, more information will be coming your way shortly about how you can get involved. 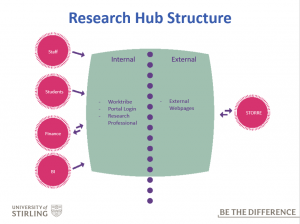 Otherwise, if you have any specific questions or comments at this stage we’d love to hear from you – please contact researchhub@stir.ac.uk in the first instance. As I type i’m looking forward to the wine reception as part of the week’s celebrations tonight, and also i’ve signed up for the Question Time event taking place on Friday. If you’re reading this at some point between 18th and 21st April 2017, you’re not too late and information about the week’s sessions are available here. There’s also a lot of information on twitter using the hashtag #StirResWk. Hope to see you at Research Week!